What a pretty design of an Oriental lantern! You could use this on apparel, home decor or a decorative pillow! 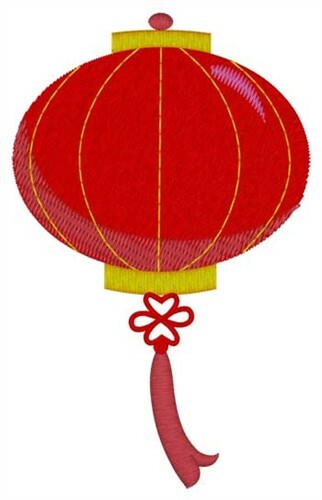 Dakota Collectibles is happy to present Oriental Lantern machine embroidery design which has 5988 stitches and is [60.71 mm x 97.03 mm] large. If you would like to view more embroidery patterns please search on our embroidery designs page.